Most women are usually not aware of their pregnancy until after they miss their period. By the time they suspect pregnancy, test and get a positive pregnancy result, they are almost through the first month. Therefore, it is good to follow a healthy diet right from the time when you are trying to conceive. A healthy diet ensures proper development of your baby. 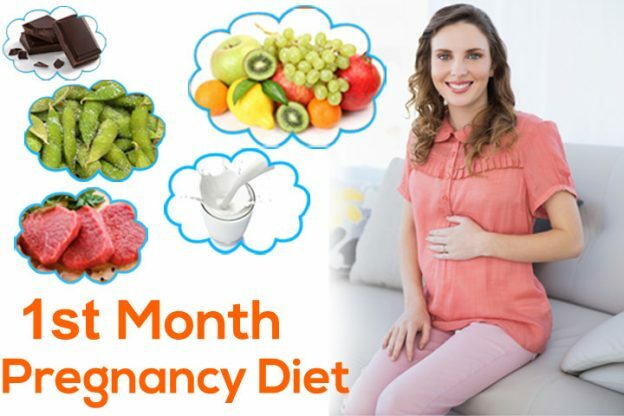 In this post, MomJunction tells you about the foods to include and avoid during the first month of pregnancy. Foods from the following groups must be a part of your diet in the first month of pregnancy. 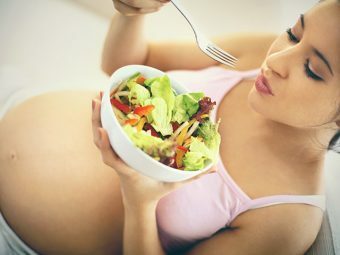 Include foods such as green leafy vegetables, legumes, avocado, lentils, fortified bread, orange juice, beans, and cereals that are rich in folic acid (1). Folic acid is an essential nutrient for the brain and spinal development of the fetus. 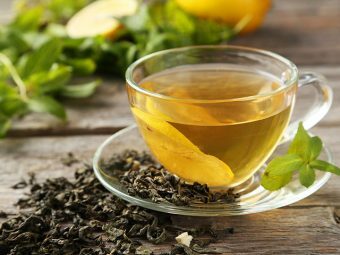 It helps in blood formation during pregnancy and preventing neural tube defects in the baby. Milk and milk products such as yogurt and cheese are a good source of calcium. Calcium is essential for fetal heart and nerve functions and helps in developing strong bone, teeth, and muscles. Fruits and vegetables including the yellow and red ones, cabbage, broccoli, strawberries, citrus, and Brussels sprouts are rich in vitamin C, which is essential for the baby’s teeth and bone development. Add fiber-rich foods like oats, whole grain bread, legumes, fruits, and vegetables in your diet for relieving constipation and regularizing the bowel movement. Lean meat is a good source of iron and protein, which helps in making hemoglobin. Also, it is essential to meet the blood supply demand by the fetus. Seeds and nuts are protein-rich foods that help in developing the fetal tissues and repairing breast and uterine muscles. 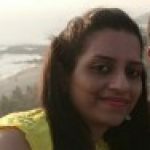 They also aid in meeting the blood requirements during pregnancy. Iodized salt is the primary source of iodine, which is essential for the baby’s nervous system and brain development. Fortified bread and cereals are rich sources of fiber and B vitamins, which are necessary for the fetal brain and nerve development. The primary source of vitamin D is sunlight. However, it may not meet the required daily allowance during pregnancy. So, include foods like vitamin D fortified milk, salmon, tuna, mackerel, eggs, mushrooms, and cereal. 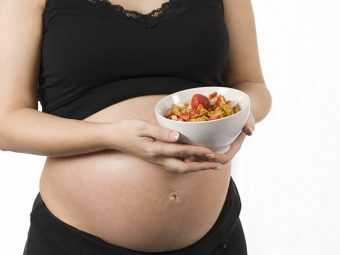 During pregnancy, you may develop a craving for foods that may not be healthy for the pregnancy. Keep reading to know which foods you need to avoid. Avoid soft cheeses (brie, ricotta, camembert, blue cheese, and feta), bean sprouts, sandwich meats, pre-made pâté, and salads, as they may contain the listeria bacteria (5). Raw eggs may contain salmonella and should be avoided. Avoid undercooked meat and poultry as they may contain E. coli, Campylobacter, salmonella, and Toxoplasma gondii bacteria. Avoid swordfish, shark, tilefish, king mackerel as they contain high levels of mercury. Also, avoid raw fish like sushi and sashimi. Freshwater salmon, bass, bluefish, trout, pike, and walleye may contain high levels of PCB (polychlorinated biphenyls, which are highly toxic industrial compounds) and should be avoided (6). Do not consume unpasteurized juice, cider, and milk as they may contain E.coli or listeria bacteria (1). Raw sprouts may contain E.coli salmonella. Luncheon meat and cold hotdogs are a good host for listeria. Avoid consumption of alcohol as it may affect fetal growth. 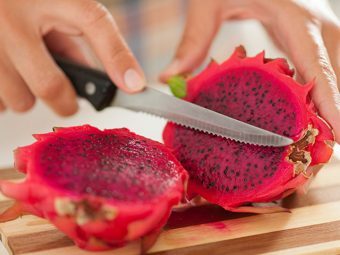 Avoid fruits such as pineapple and raw papaya, which are known to induce contractions (7). Limit the intake of foods such as pastries, cakes, pies, processed meats, pizza, commercial burgers, and fried foods that may have high amounts of saturated fats (5). Limit the intake of foods that contain added sugar (like confectioneries, energy drinks, sweetened soft drinks) and salt. Limit the intake of caffeine as more than 200-300mg or 2-3 cups of coffee a day can cause miscarriage (8) (9). It is essential that you choose the right food and eat the right amounts during pregnancy. Next, we give you a few diet tips for the first month of pregnancy. Make sure you take the prenatal vitamins along with your diet. Eat smaller meals at regular intervals. Cut down on junk foods. Avoid oily and spicy foods that aggravate heartburn. Adhering to a healthy diet will ensure that your baby gets the essential nutrients for healthy development. Eat right, but most importantly, do not skip any meals or the prenatal vitamins. Try a variety of healthy recipes and enjoy a delightful treat without any risk. What foods did you include in your first-month pregnancy diet? Let us know in the comments section below.